How numerous are the difficulties and how obscure is the history of music, and how many points remain yet to be cleared up! A proof of this is the almost complete ignorance which we are in concerning the ancient school of Spanish music before Palestrina. These words of the French critic are applicable to the present day, for modern authors who have written on the subject barely allude to musical annotations or com positions by Spanish authors. 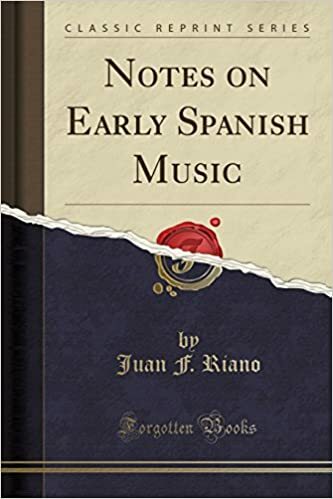 This causes a sad break in the history of musical art; it is justified in a measure by the silence of Spaniards themselves, who have hitherto shown little interest in collecting materials for a complete history of Spanish music from the earliest times.